The Eastern Shore of Virginia is made up of two counties – Accomack and Northampton – occupying the scenic Delmarva Peninsula. 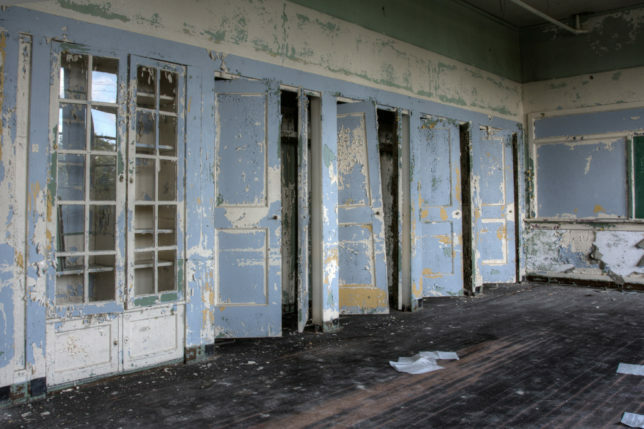 A little over 33,000 people live in Accomack County but just 229 (as of the 2010 census) make their homes in the tiny town of Painter, where the abandoned Central High School can be found just outside of town on Lankford Hwy., aka US-13. Painter never was very large (the 1970 census recorded 363 residents) but its location in south-central Accomack County made it an ideal place for a school serving the county as a whole. 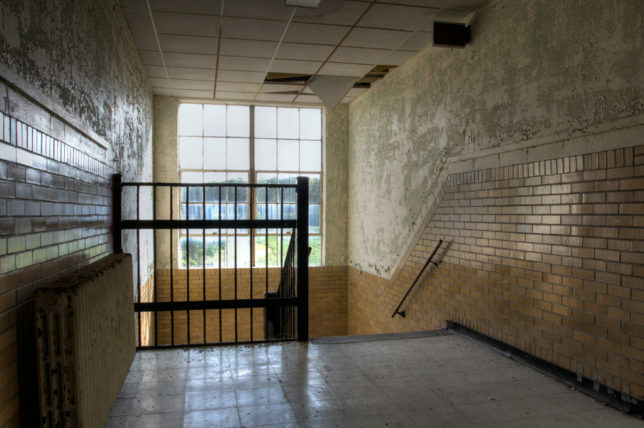 As such, the two-story, T-shaped, red brick Central High School opened in 1932 and provided a brilliant glimmer of hope for residents in what is still one of Virginia’s poorest counties. The father & son architect team of J.W. Hudson and J.W. Hudson, Jr. imbued the Central High School building with cutting edge (for the time) Art Deco style, though most of the key architectural cues are featured on the exterior. 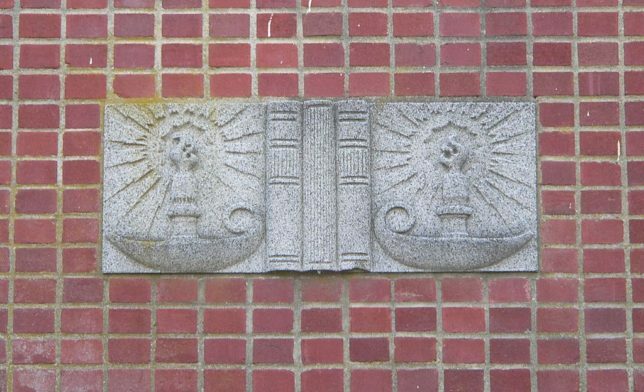 The most prominent example is the carved stonework frieze above the northeastern entrance depicting twin Lamps of Knowledge separated by the spines of three textbooks.